2014 has been a big year for Lowtemp label head Gramatik. From the release of his album ‘The Age Of Reason’ to apparently selling out some of the most prominent venues in the world, including L’Olympia Paris, Denis Jasarevic has left a distinct imprint like never before this year. 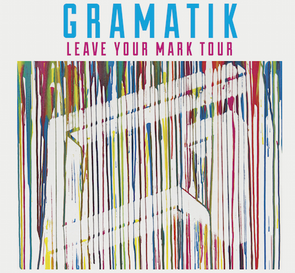 To round it off, the aptly named ‘Leave Your Mark’ tour has been the crowning accomplishment to this run. Going from coast to coast in the US, and up and down across Europe, it now draws to a close with four shows in the UK. 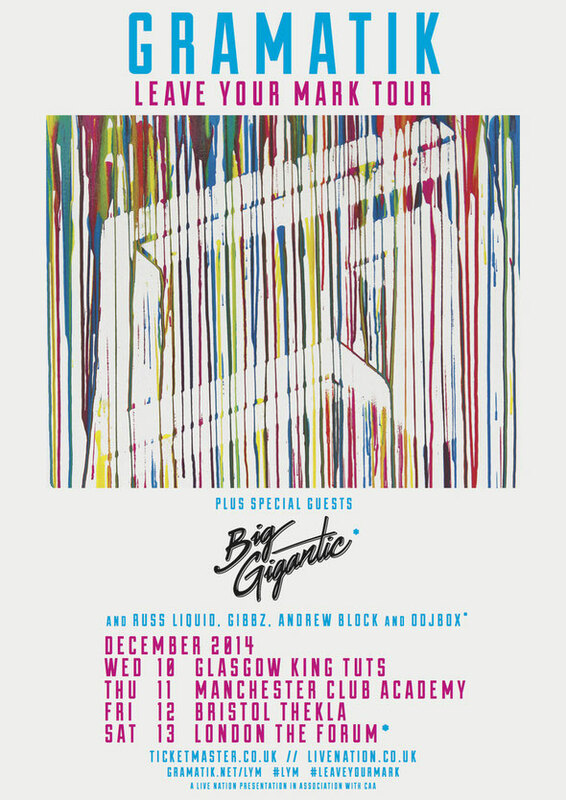 Starting off at King Tut’s Wah Wah in Glasgow on 10 December, and going back-to-back in Manchester, Bristol and London, from there – Gramatik and his Lowtemp label mates will be bringing their show to their biggest British venues to date – with a performance from Big Gigantic at The Forum in London. Another guest is the latest addition to the label, Andrew Block. Sounding straight out the 1960s’ funk and soul scene, ‘You Can Only Go Up From Here’ from the man himself comes as a revival of a by-gone era. Recorded in the heart of New Orleans, it is a product of its surroundings, with the city’s musical roots clearly influencing the sounds and textures used within the album. Since moving to New Orleans, Block has made a name for himself through performing and collaborating with some of the best musicians the city has to offer, including Terrance Higgins, Ivan Neville, George Porter Jr., Stanton Moore and Big Sam Williams, to name but a few. It is now with this debut that his talent as a guitarist and songwriter shines through on Gramatik’s label that celebrates all in funk, soul, electronica and more.